Brian dropped us off at LAX early Thursday September 15th. We were glad when the cramped 737 trip (#253 at 9:15 AM) from Los Angeles to Kahului Airport on Maui, Hawaii ended after 4.5 hours. (three times zones and 2,450 miles southwest of Long Beach). We picked up our Chrysler Sebring convertible at the Dollar Rent-A-Car and headed west towards Lahaina (the former Capital of the islands and a famous seaport during whaling days). 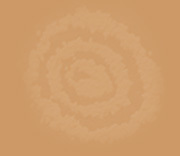 The island is roughly figure-eight shaped with an oversized bottom ( to the east). The airport and large cruise ship harbor is in Kahului on the north side of the neck between the two dormant volcanos. 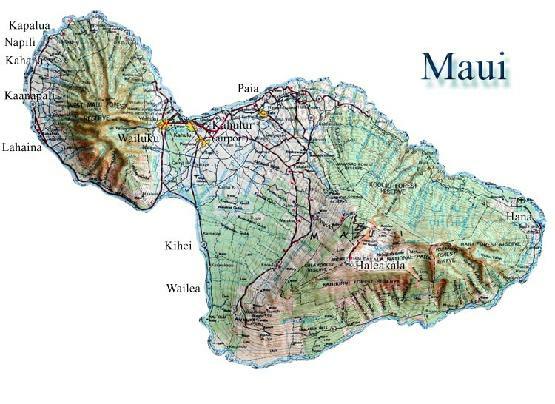 To continue with this story, scroll back to the top of this page and click on "Maui 2"